The Phase II above ground event took place during the month of May, 2014. It posed the question: How would Boston be impacted by a Super Storm like Sandy if it hit the city today, in 50 years or in 100 years? Eight ostriches were placed in carefully chosen locations throughout the city that were particularly vulnerable to storm surges. 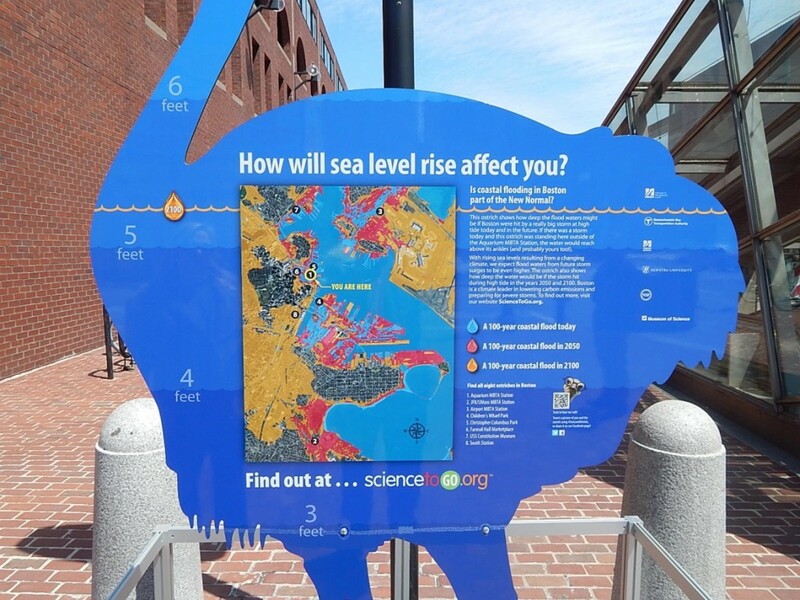 Bostonians were invited to learn about the water level at each location and scan a QR code to hear more about the challenge of rising sea levels.